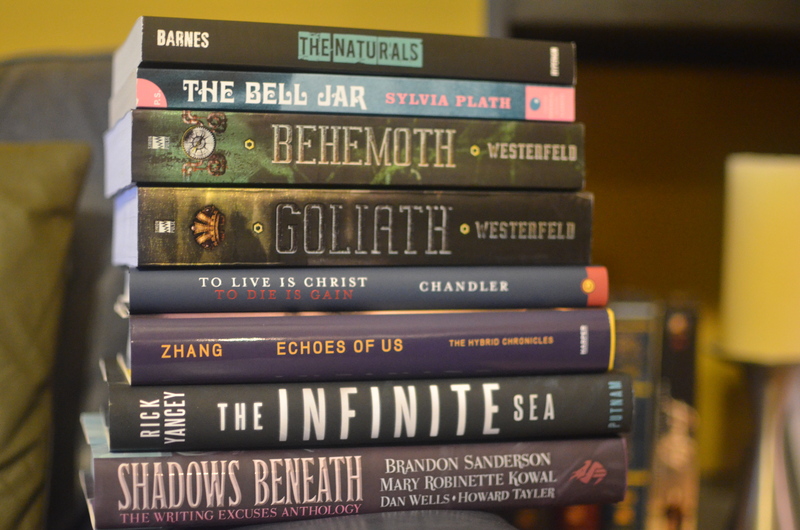 10 Responses to Birthday (& Beyond) Book Haul! I read The Bell Jar quite a few years ago, and I adored it. I am a huge fan of Sylvia Plath, so that was no surprise. I hope you like it! I’ve seen mixed reviews of The Infinite Sea, so I guess we’ll see how it goes. It seems everyone loves The Bell Jar though! I like the bell Jar but it was definitely a dark read! I haven’t read the rest..a lot of my bloggy friends love westerfield! I’m hoping The Bell Jar will help me with book I’m writing, since I feel I’m struggling to really encapsulate depression and such, having never experienced it myself.